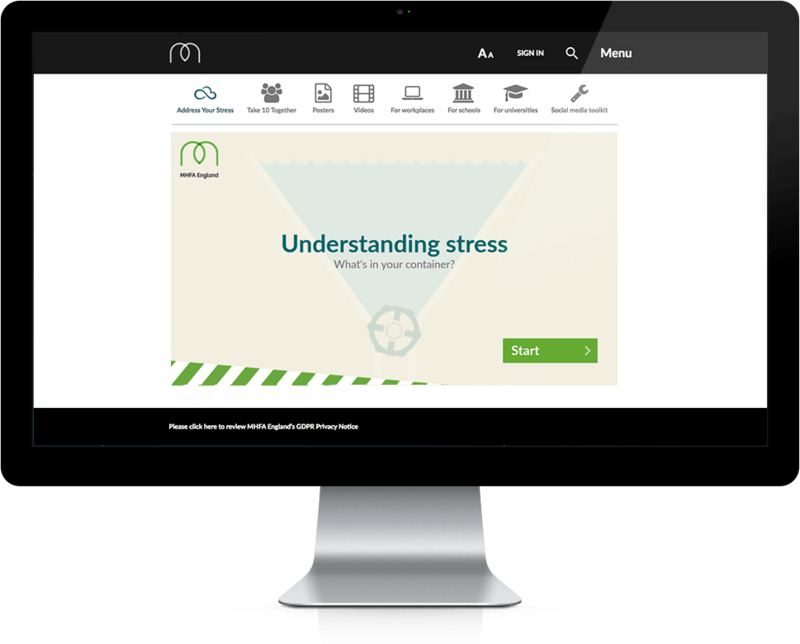 Mental Health First Aid England have a vision; to train one in ten of the population in England in Mental Health First Aid skills. The work these guys do is really important and there’s nothing better than contributing to a worthwhile project so when we were tasked with developing a interactive training tool we jumped in feet first! 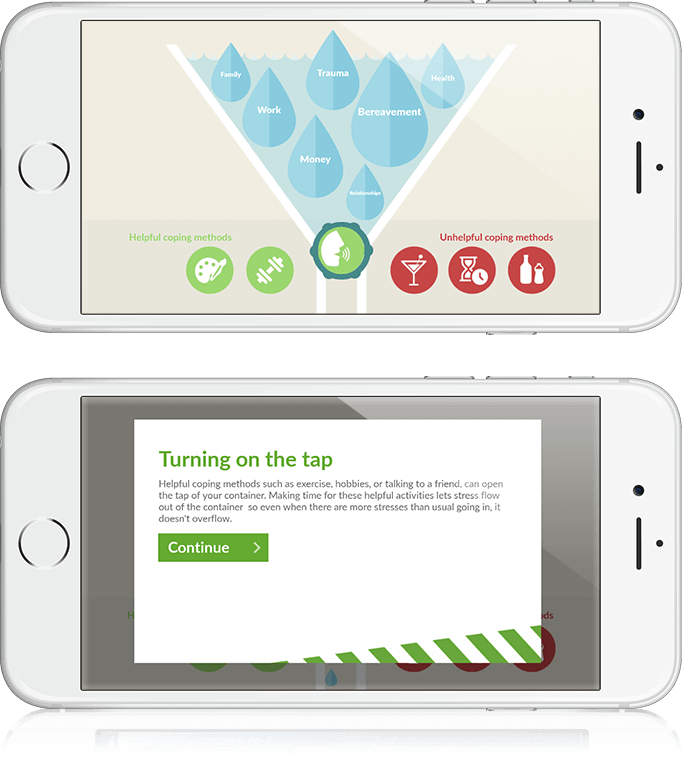 MHFA England wanted to launch an engaging digital tool that would appeal both to professionals in the field and the general public. The tool would help everyone better understand stress, it’s contributing factors and helpful and unhelpful coping mechanisms. 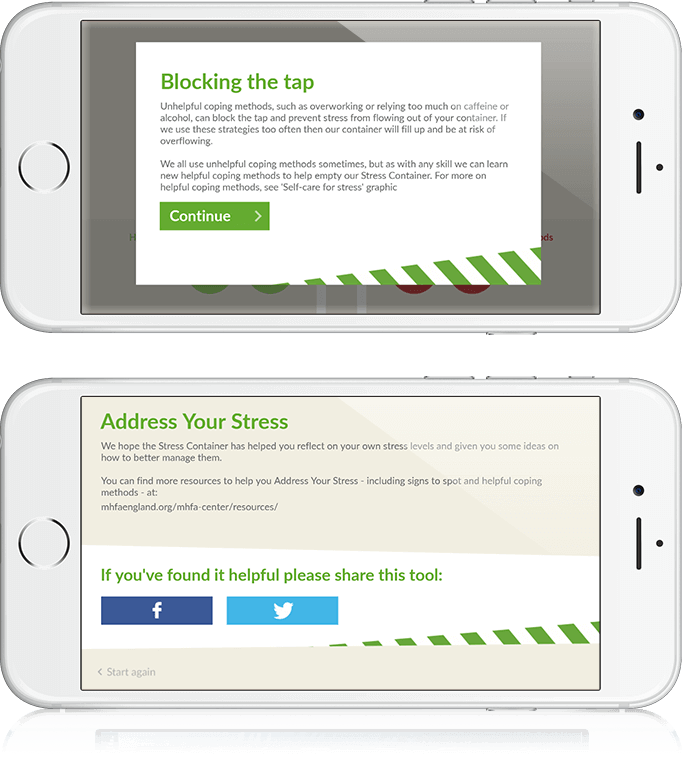 As such we were tasked with bringing the MHFA England stress container model to life, a learning concept that was to be made into a web app and seamlessly launched on their website during Mental Health Awareness week - when high site traffic was expected. 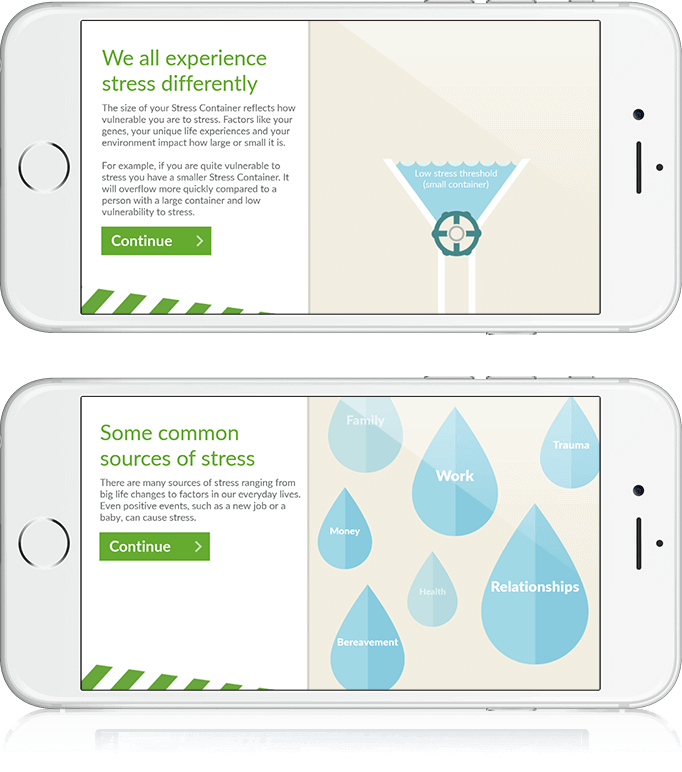 The final Stress Container tool was a superb cross platform, fully responsive HTML5 web app that launched with very minimal stress considering the tight turn around we worked to. The product was well received by the client who confirmed that the interactive Stress Container worked well for their campaign. The added social mechanism enabled the app be shared via social media for even further reach potential.